Bean burritos are a favorite in our house to pack for lunch. 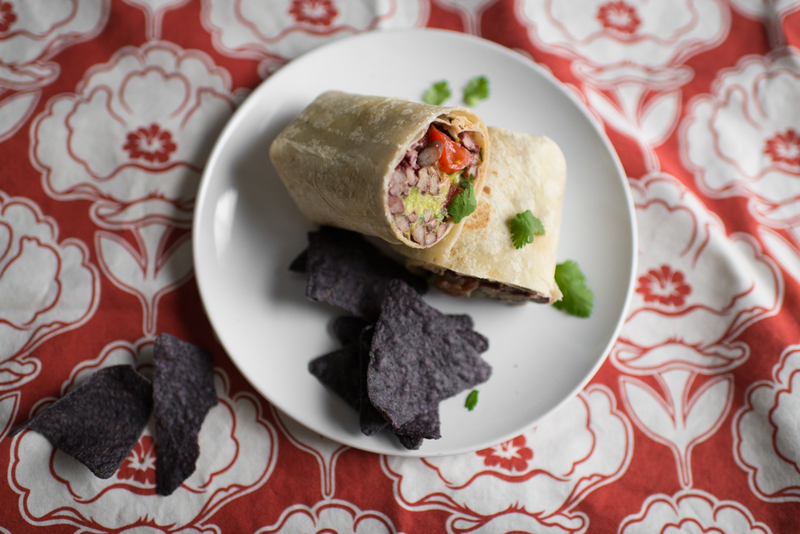 Burritos can be served warm or cold, In our case we pack them cold with a variety of fresh ingredients packed inside. Our go-to bean mixture is "Better Beans" a brand of prepared beans which can be found in the refrigerated section of the grocery store. They are seasoned and have no preservatives. A bean dip also works well. Use hummus instead of beans for different spin for another "sandwich free lunch!" Use a gluten-free wrap and choose fillings that are dairy or soy free depending on your dietary needs. Lay your favorite wrap on a smooth surface. Scoop 1-2 tablespoons of beans in the middle. Pile on toppings like cheese, sour cream, diced avocado, greens, and salsa. Fold sides inward. Then starting from the bottom, roll into a burrito shape! Enjoy. See video to see just how easy it is to make a burrito.